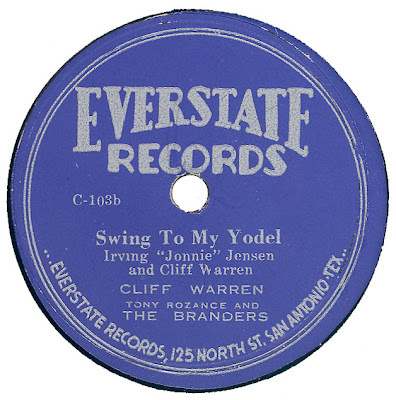 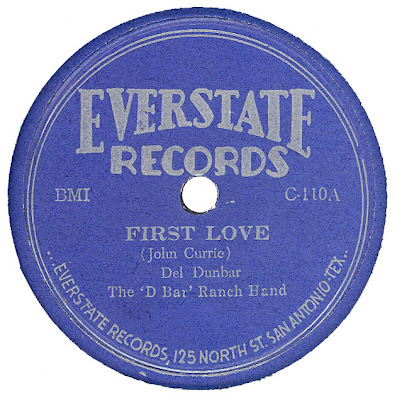 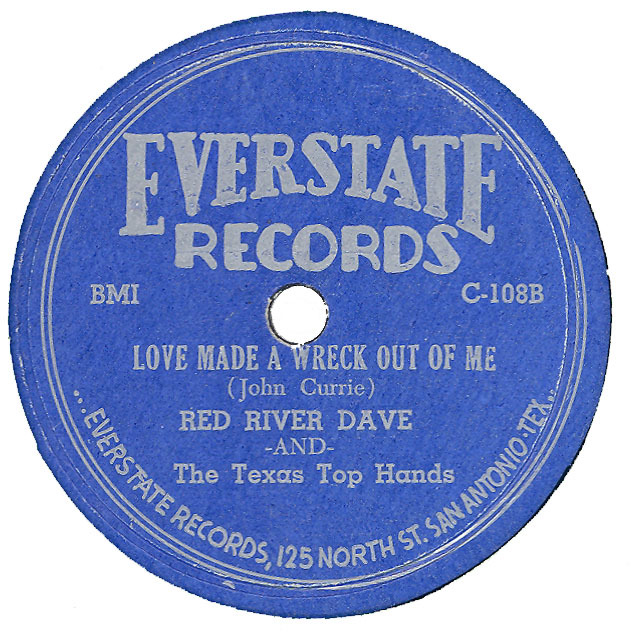 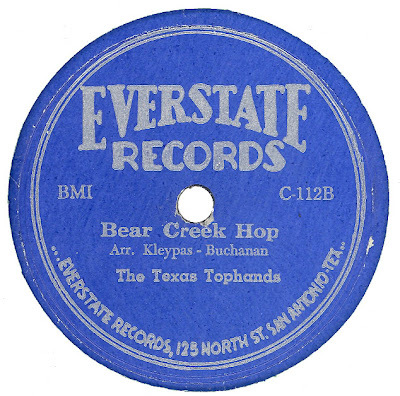 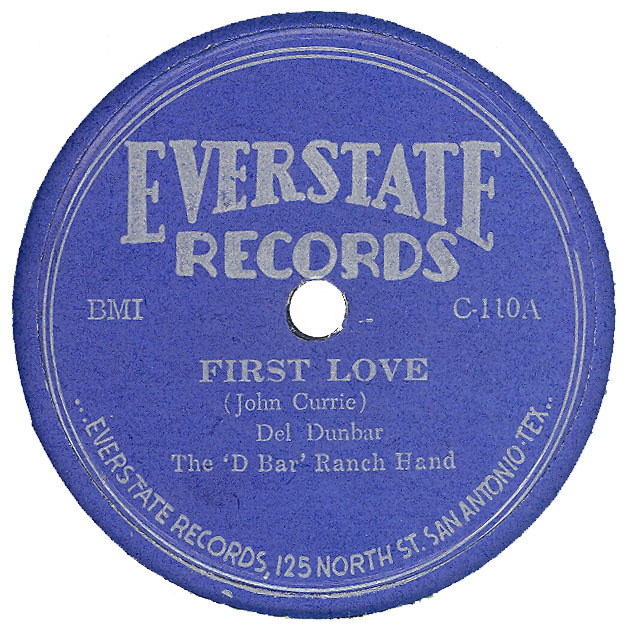 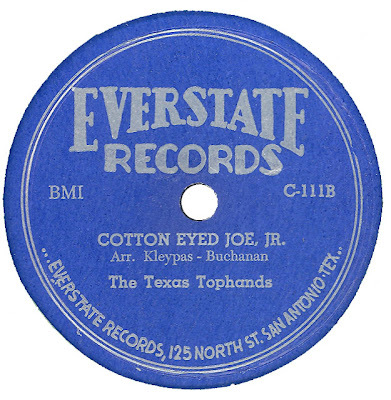 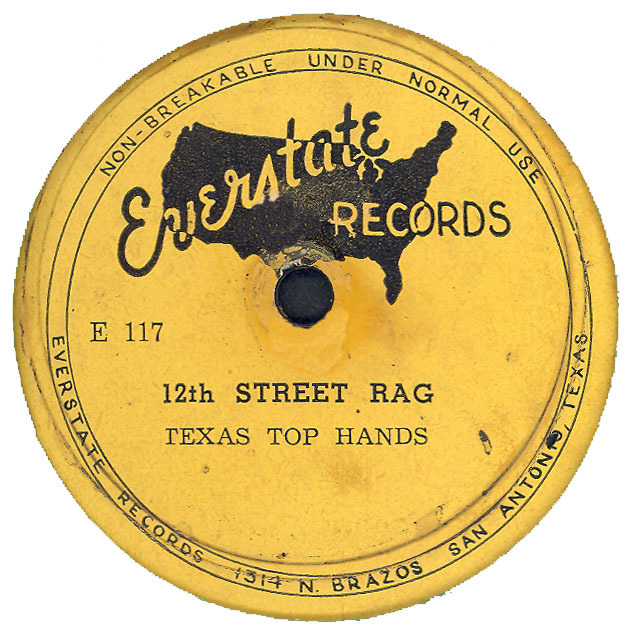 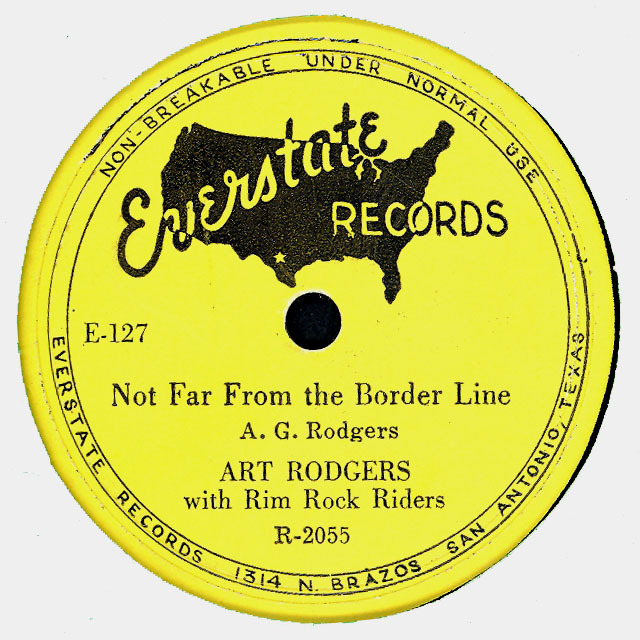 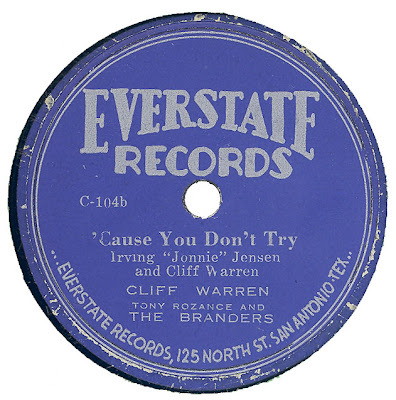 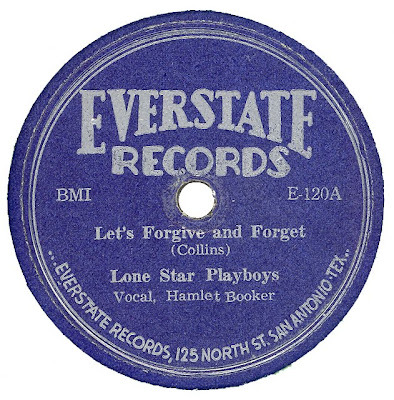 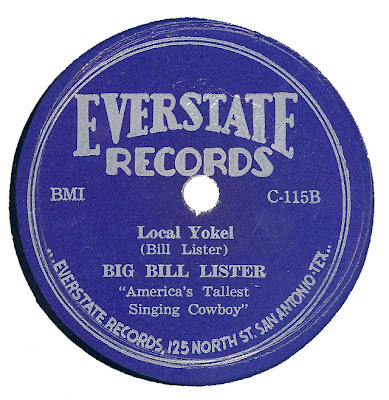 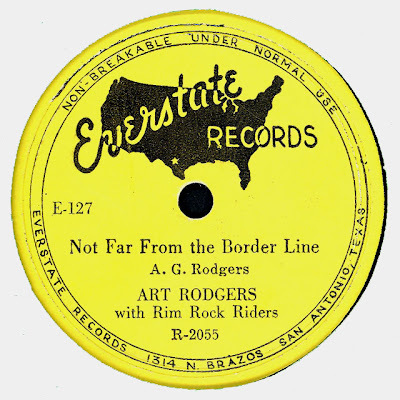 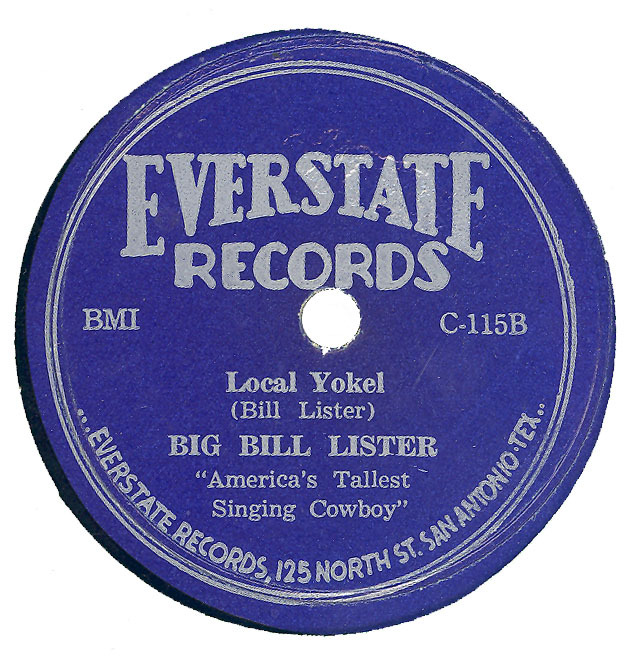 Note: The copy of EVERSTATE E 117 shown here is probably a later pressing. 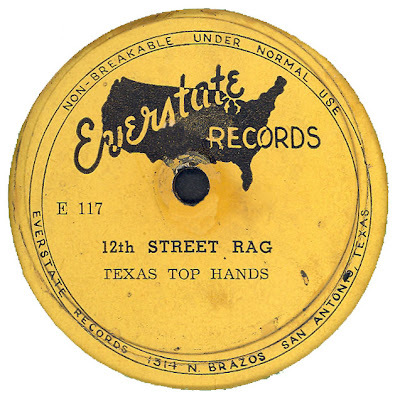 I suspect that the original issue was released with the usual Blue label and the North Street address in San Antonio. 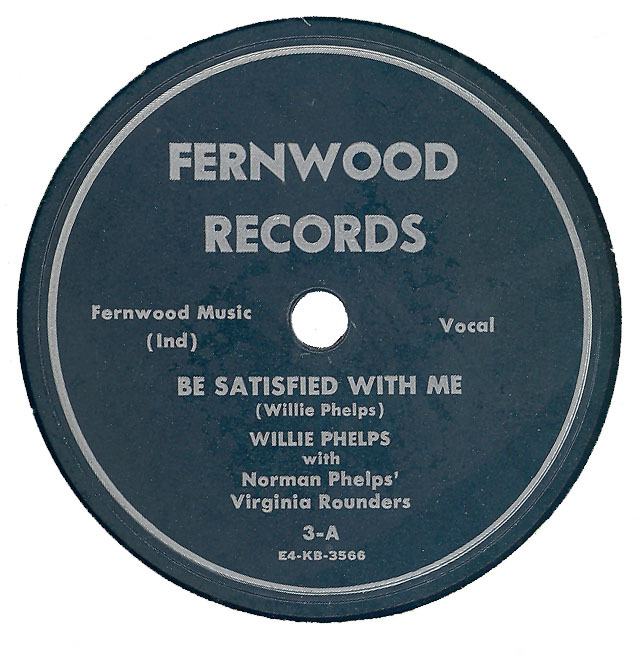 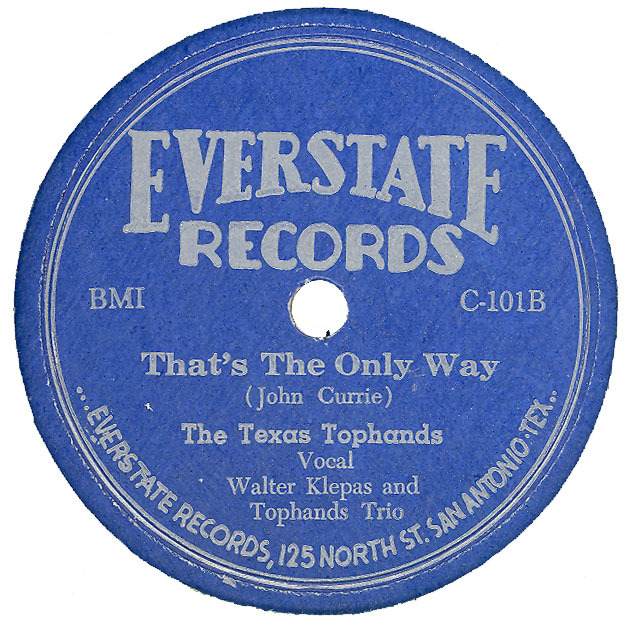 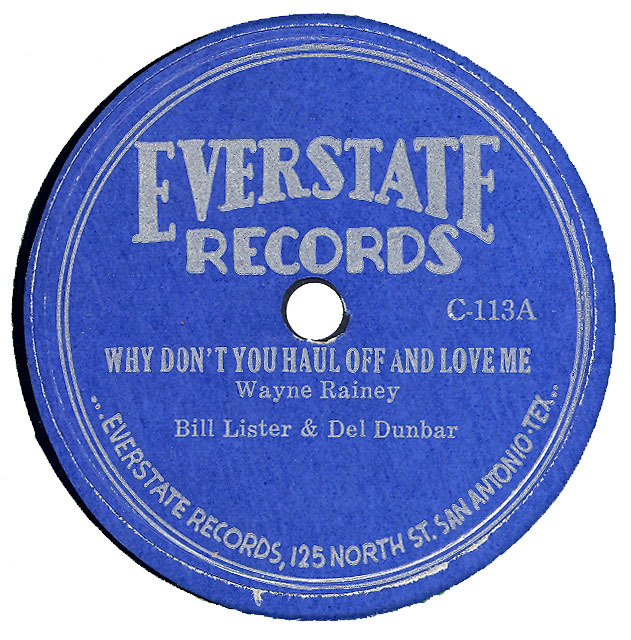 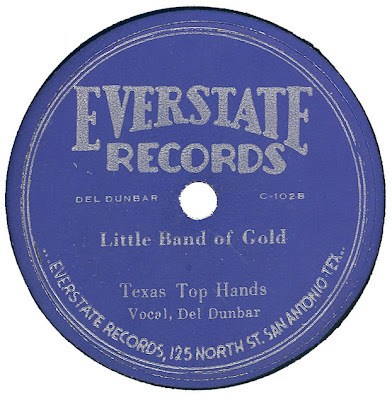 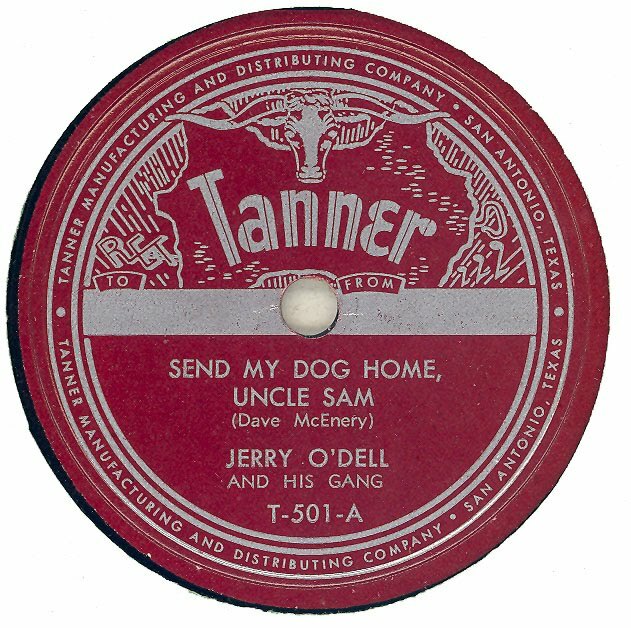 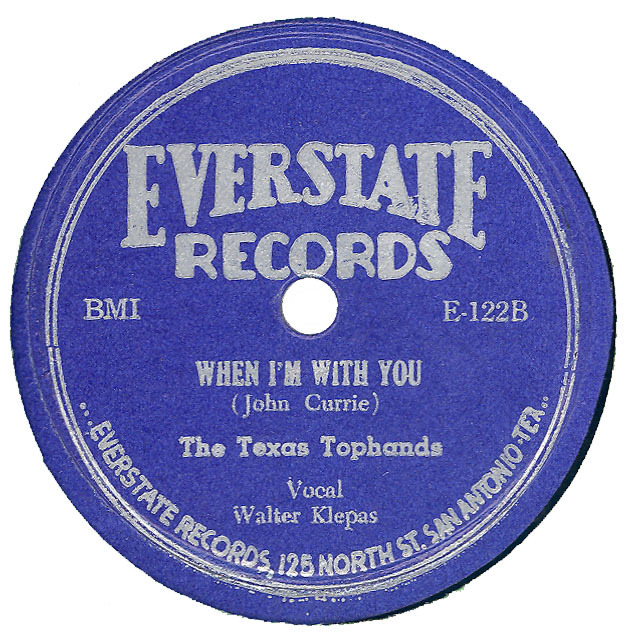 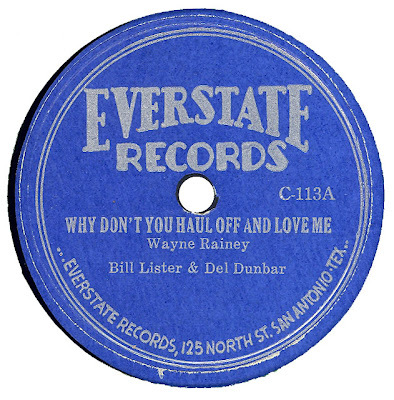 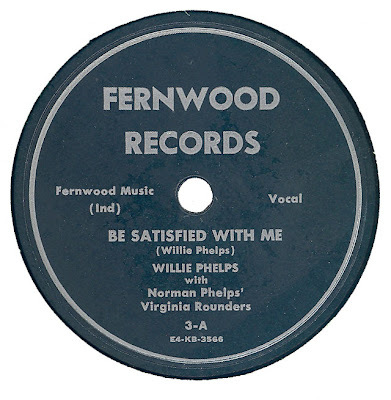 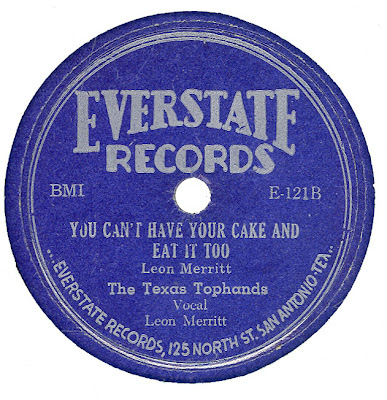 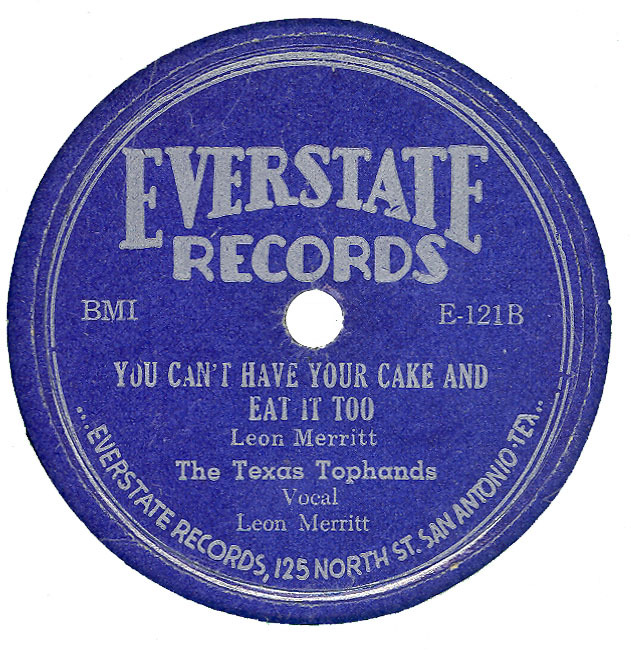 The address shown on this disc is that of Bill Tanner’s distribution office in San Antonio. 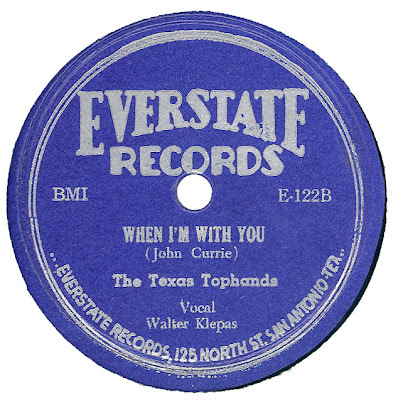 Note: Sometimes The Texas Tophands are listed as two words, other times as three words. 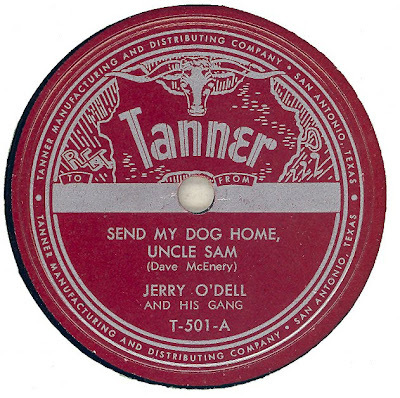 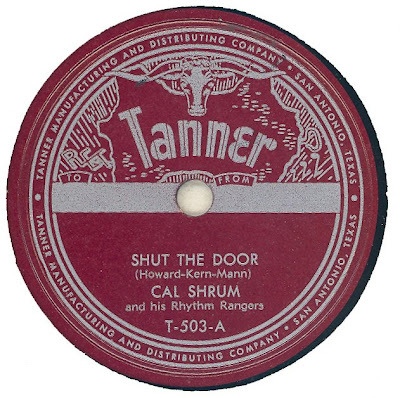 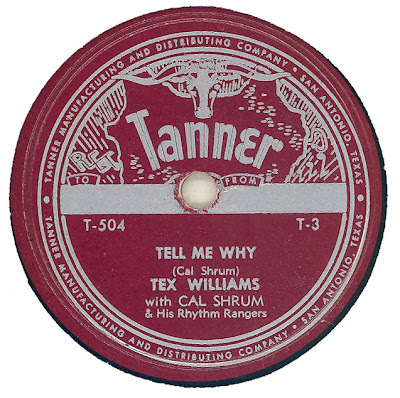 The TANNER label was the precursor of Bill Tanner's TNT label. 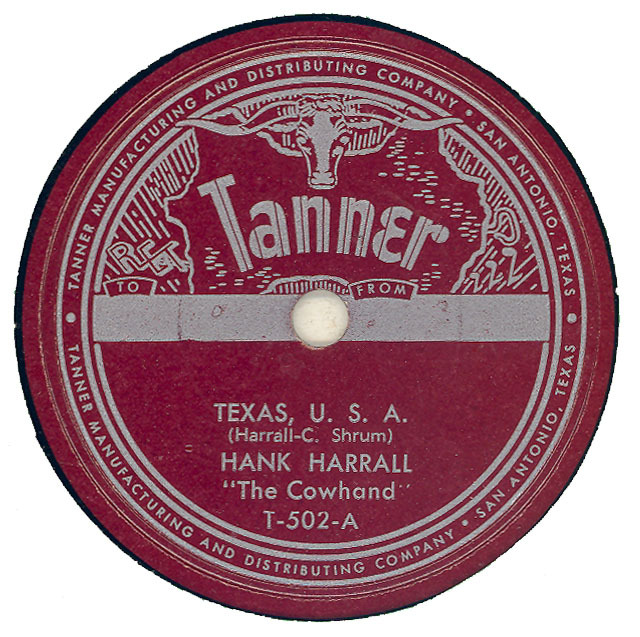 In addition to the 500 series, there was a 3000 Gospel series. 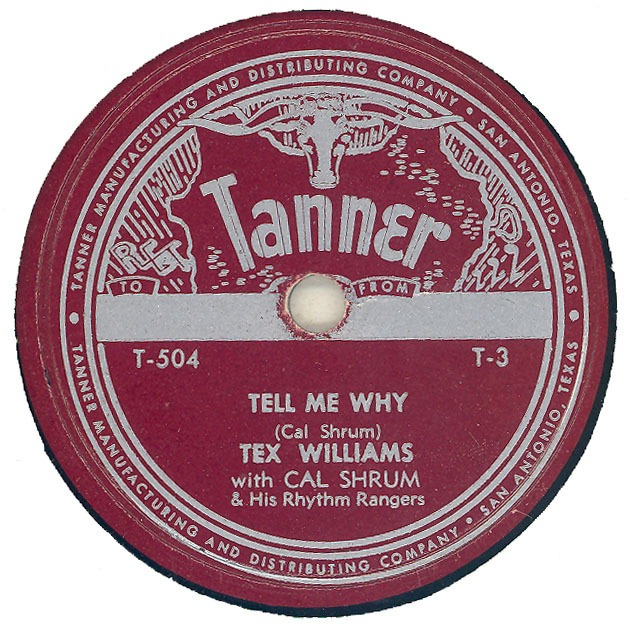 Releases on TANNER had a novel design feature on the label, you could send your record to anyone and note both your name and the recipients! 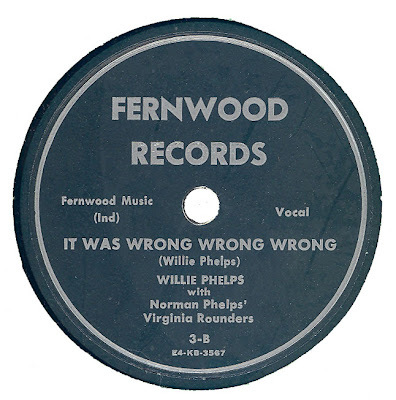 Flipside is unplayable - Sorry! 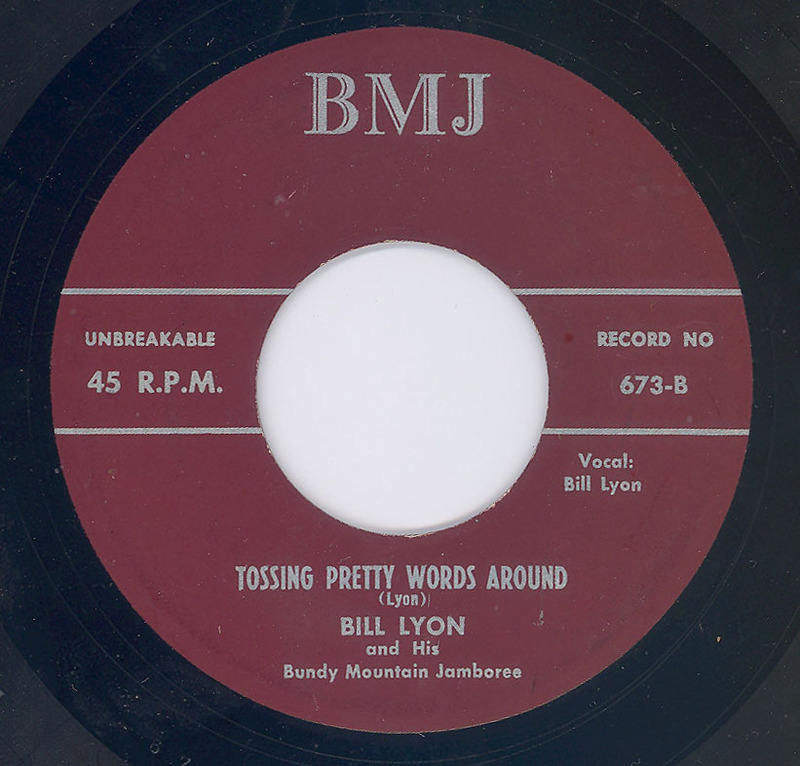 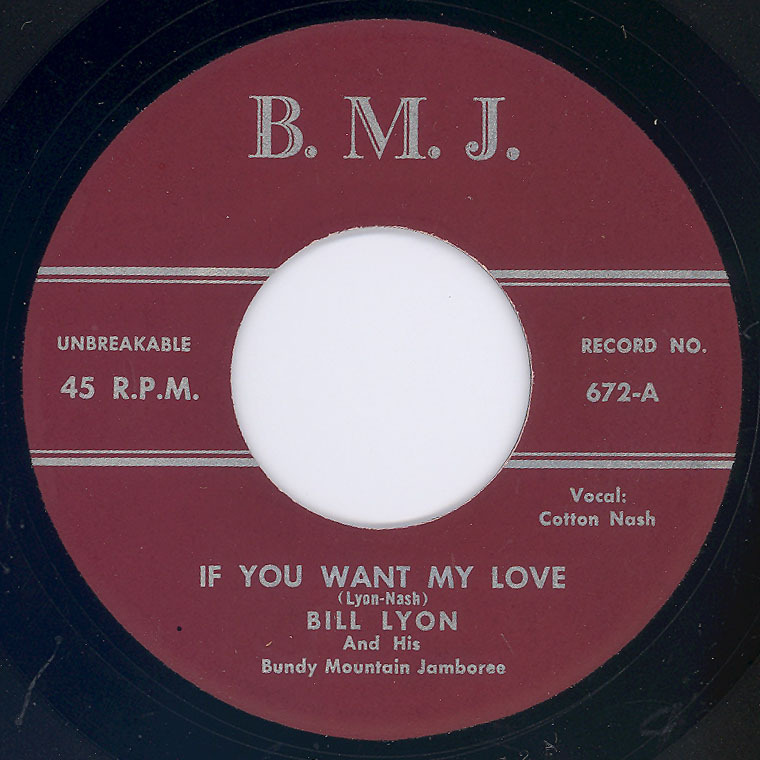 Label started as below, but then simplified its name to BMJ (Bundy Mountain Jamboree). 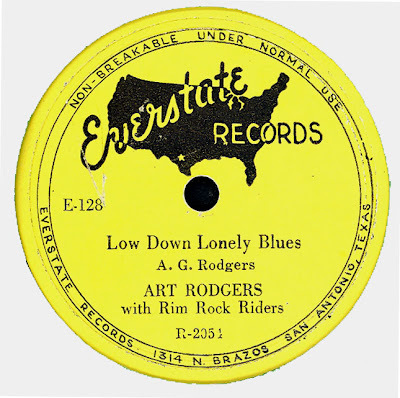 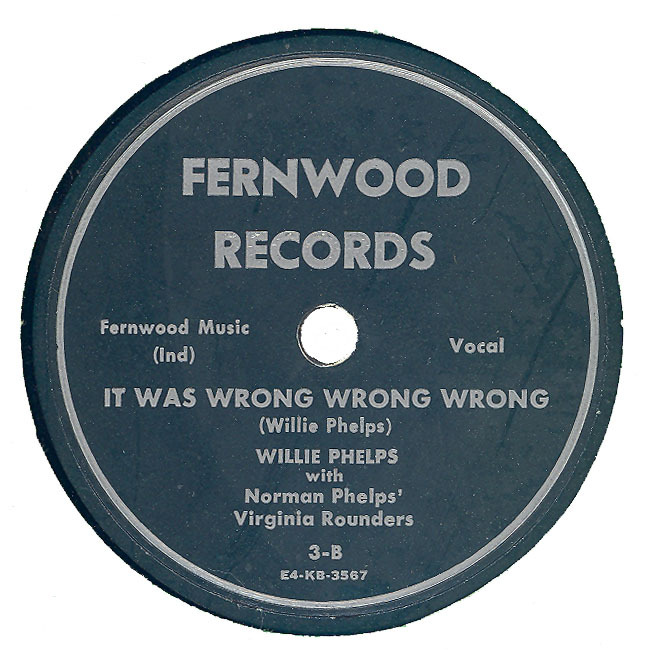 There are three known releases on the label. 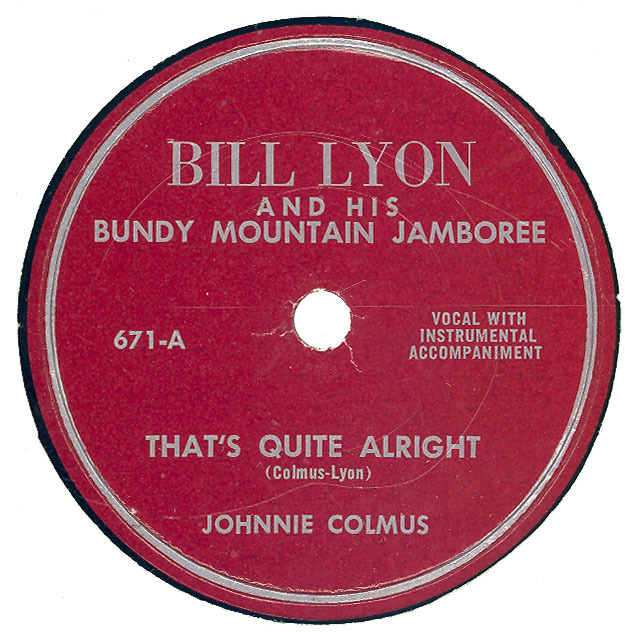 "That's Quite Alright" sounds remarkably like a Tommy Collins song.